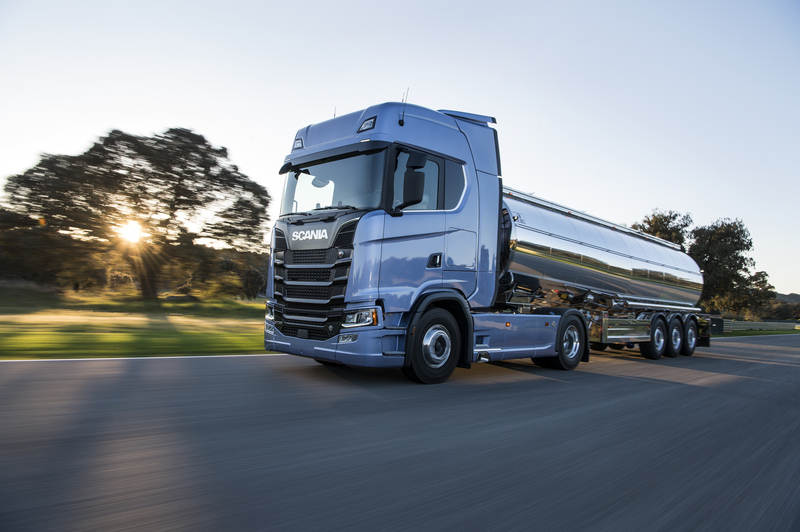 In addition to being one of the oil industry’s leading suppliers of heavy trucks, Scania also provides a comprehensive petroleum tanker testing service as part of its broad range of aftermarket products. Available through selected Scania dealer points nationwide, the service is an enhancement to Scania’s fuel tanker maintenance and repair infrastructure includes both the two-yearly Vapour Tightness check required by the UK Safe Loading Pass Scheme and the mandatory three-yearly Leakproof test demanded by European ADR legislation. Testing is carried out to the customer’s Written Scheme of Examination or Scania, with its competent authority partners, can provide a Written Scheme of Examination in line with the customer’s specific requirements. All Vapour Tightness testing, which is carried out at a fixed price, is conducted on Scania’s premises by fully trained and qualified technicians. ADR Leakproof testing, which also takes place within Scania’s workshops, is conducted in conjunction with one of our certifying competent authority partners. This means all pre-test examinations, testing and, if necessary, repairs and re-testing can be carried out in a single visit to the local Scania dealer point. Should any repairs be required, the re-test will be provided at half the normal fee provided it is carried out on the same day. As well as ensuring all work is carried out to the highest standards and in accordance with Operator’s Licence requirements, all legal and compliance documentation is held by Scania, assuring easy access at all times. This, together with the one-stop nature of the company’s petroleum tanker testing service, helps reduce the burden on operators and thereby reduces administration costs, whilst increasing vehicle uptime. The unique alliance between Scania and its competent authority partners assures operators of the best possible service through a coordinated approach to testing and certification. By providing both testing and certification in a single visit to the local Scania dealer point, operator-convenience and uptime are maximised. Tamworth VMU is an Accord Dangereux Routier (ADR) tanker specialist workshop, one of only 13 in the Scania UK network.